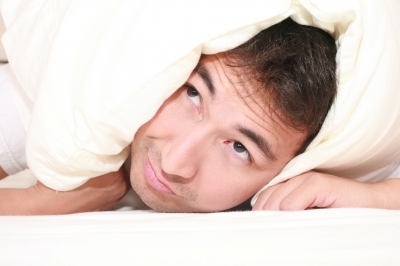 Sleeping issues are common with people dealing with ADD and ADHD. It isn’t because we’re not tired, it’s because our minds are always chasing something. It is the same reason why we have trouble sitting still in a class or focusing on something for long periods of time. Our minds are always racing. There’s a secondary factor with sleep issues and it involves medication. As many of you know, sleep concerns are a major side-effect of medication. OK, so now that we know there’s a problem, how do we fix it? Well, there’s no specific cure. But there are some things we can do to help facilitate the sleep process. Do not drink caffeine or anything with large amounts of sugar within four hours of trying to sleep. Discontinue the use of any media screens within 30 minutes of calling it a night. Avoid eating within two hours of attempting to sleep. If it’s a medication issue, talk with your doctor. It may be a simple dosage adjustment will solve the problem. Make sure your doors are locked and you’ve checked your home security camera and monitor so you aren’t overthinking about your safety all night. Do not get overly worked up before bed. Try to table anything stressful until the morning. Drink water and keep it near your bed. Now some of these seem like common sense, but we don’t always practice good habits. Other situations may be unavoidable like avoiding stress. In my life, when something is stressing me out, it usually means I am not going to sleep. I often internalize my feelings. In these moments, I’ll journal about my thoughts and readdress these in the morning. If you walk away from this with anything, the key to a successful night’s sleep is regulating yourself. Put yourself in a good place before your head hits the pillow.